Queen of the House of Boys: Wowzer! Who knew?! Busy Busy Busy!!! Back in August I opened a retail store in a local town called, Mama's Happy Space. 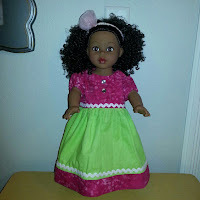 I sell home decor, vintage finds, re-purposed creations, handmade products such as handbags, fancy aprons, jewelry pouches, Jewelry, art...and....our newest product is...American Girl doll clothing. A friend recently asked if we make them...and so now we do. Being a mom of 3 boys I really had no clue about the market for them. 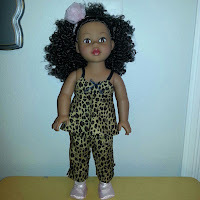 I had heard a little about AG dolls...but didn't know the price tag of up to $150 per doll! I am learning more very quickly. I know that both Wal-Mart and Target carry a less expensive very similar brands. I know that to purchase the official AG clothing and accessories you will be making quite an investment. 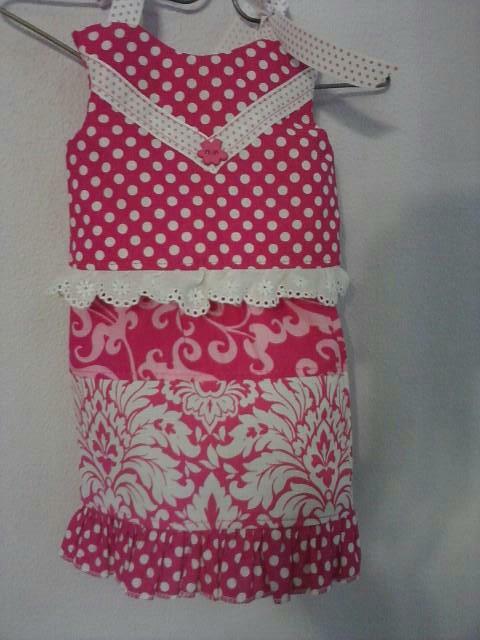 We have been making aprons for adults and children for several years now...and we have quite the collection of fabrics...not enough for an apron...but just enough for doll clothes! Perfect match! We get to use our beautiful fabrics more and we are not wasting! What I also did not know was the demand for these clothes! 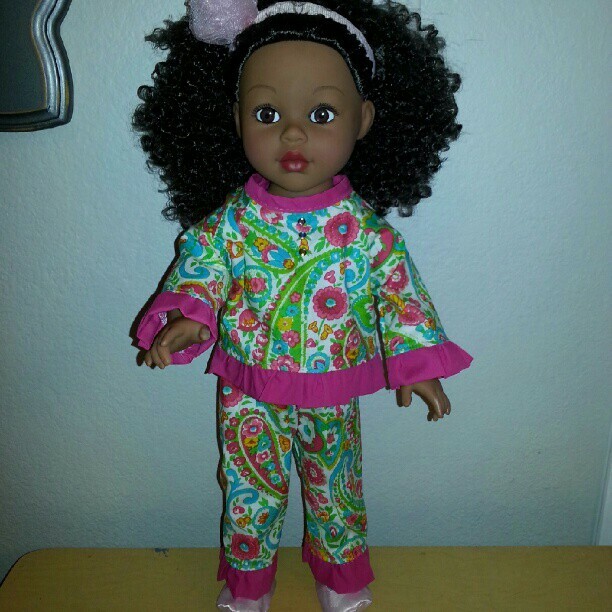 Mind is totally blown with the response we have been getting for our new doll clothing line. It has quickly become a full time job this last week keeping up with orders! The entire photo album is here. It is not too late to place an order and have it shipped by Christmas! Order by December 18th and we will get it to you! Here are a few sample photos. 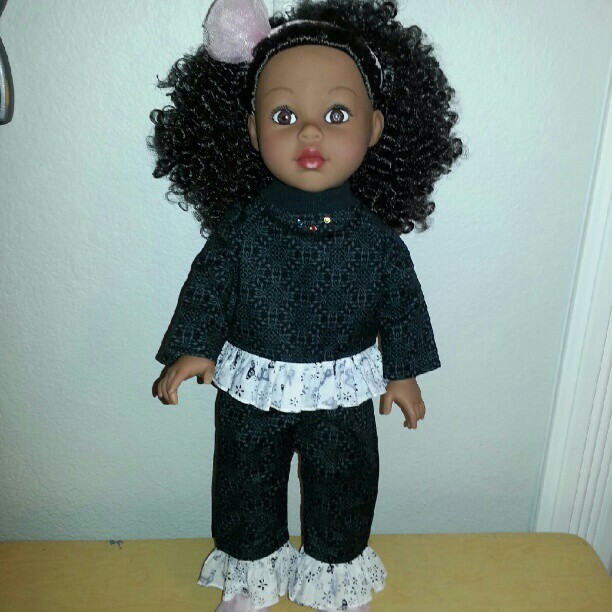 Our AG doll outfits vary from $10.75 to $14.75 per outfit, plus shipping & handling. Items can be ordered either through my store Facebook page, or by emailing me at mamashappyspace@gmail.com. Please view our full product album here. Payments can be made through PayPal. Here is a great review of our products from my new blogging friend Debi over at the Funki Planet! When talking to a friend at church she told me how when her daughter was a little girl she wanted an AG doll. Her mother gave her the option...you can get the Official AG doll and one outfit....OR you can have the less expensive Wal-Mart version....and every single outfit that they have. That smart girl of course chose the entire wardrobe option! Smart girl! No matter your choice...your girls are sure to treasure these gorgeous dolls!